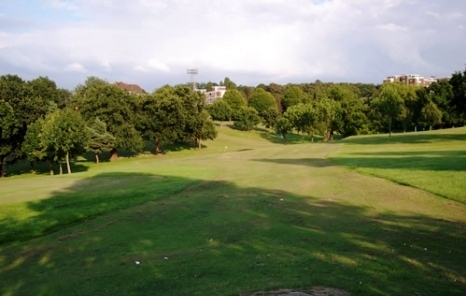 Hanger Hill Footgolf is just 5 minutes from Hanger Lane Tube Station, Londoners are fortunate to have this Footgolf venue in easy reach of most parts of London. There are 1,037 yards to explore over this Par 36 course. New and experienced are welcomed alike. The course is wonderfully undulating through glorious parkland. From the highest point there are splendid views across to Wembley Stadium, and this is delightfully juxtaposed with a relaxing brook running through the middle of the course. Footballs are available to hire should you need them, or bring your own – size 5 works best! So if you’re in easy reach of Ealing, head on down and given London Footgolf a try. Please note that the kiosk at Hangar Hill Footgolf is cash only. Do you want to try an activity with a group of friends? No matter how large or small the group size and whatever the occasion, a day out playing Footgolf will be one to remember. Whether it’s a stag or hen party, a birthday party for children (or adults! ), Footgolf offers an exhilarating activity which can be tailored to meet your needs. We can help you plan the perfect Footgolf day! Just complete the form on the following page and we will send you a quote based on your requirements. This quote should be with you within 48 hours and we will give you information on how to book online and the next steps.